Showing 1 of 257 reviews. Excellent and informaive instruction. Pleased to see some intelligent use of the short time frame to use Agile to resolve our questions. Howie was very knowledgeable and engaging and adapted the content / themes of the session very well to address the questions from the group. His anecdotes and examples were relevant, insightful and thought provoking. Howie was really personable and spoke from experience. This really added to the value of his comments. As always, all staff were wonderful, friendly and polite, especially Marion. Tutoring on this course was excellent - very engaging and varied enough to ensure we didn't become bored and disengaged and all explanations were clear, easy to understand and detailed. Little things, like toast in the morning and a fresh cup of coffee are welcome extra's. I would like to say that I was very impressed by the trainer Howie, I found that he covered everything in the content. I likes the way he did it in a sprint format, working through each subject individually. He kept the course moving forward effectively. But he did not leave anything out of the course subjects. He was also very engaging in all aspects which I find very good, he kept us very focused even at the end of the day. The trainer was excellent, tailoring content to the group's needs and knowledge and engaging us throughout the whole day. The activities and resources were all of excellent quality and extremely useful, and the trainer was able to very competently deal with any questions and discussions that arose during the day. I felt that I took a lot from the day and improved my knowledge of Agile, and the whole day felt quite entertaining - not too much like hard work! I would request more consistent temperatures in the classrooms but overall a very positive experience. It all comes back to the person a company has representing them and you got this 1% right. Fantastic Acommodation, Refreshments, and Lunch Facilities. Tutors were brilliantly enthusiastic and not at all boring! Great course and would highly recommend it! I felt that the balance between practical work / exercises and presentation-type tuition on this course was spot-on. Loved that the content was dynamic and tailored to suit the group and was lucky to be in a group of similar users, so felt the pace and content was just right. Very interactive and not too structured which allows the course to flow without losing the overall thread. The exercises were really good and the learnings from them are very memorable. I also like the pocket handout - have already used it quite a bit. The seminar style of presentation really suited the material, and was well presented by the tutor. I felt like I got a good understanding of the key points of agile vs traditional without getting bogged down in the detail of different agile methods. Howie was direct and straight forward. I like that. The course materials were as tailored as they possibly could be, which was great, as I can look back at the PDF and really remember the important information. Atmosphere at Quanta is always great. Food at lunch is exceptional for a training provider. Good interactive presentation of material with no powerpoint. Howie is a very engaging and enthusiastic trainer ... he obviously has a passion for what he does. The use of multiple pertinent real life examples from a range of organisations was helpful to me as I respond well to these types of examples rather than something I read in reference materials. The example AGILE exercise was an excellent way to demonstrate how you can quickly make substantial improvements to a process and product delivery. Duncan was a great teacher there was a good amount of varying backgrounds there to ask a range of questions for specific use cases as well as a small enough to enable the teacher to help each individual if required within the time of the class. The practical examples are excellent. I found the course to be a perfect mix between the practical and the sit and listen. When I've been on these sorts of all day courses in the past, after a time they have started to drag - this wasn't the case here though, it was engaging throughout and I think I got a lot of out the session. Thank you to Marion for thinking about me and also, I would push for this to become a regular course option for JLR as I believe it may be beneficial to others within the company. Howie did really well again and the content was delivered at the right pace and learning was as easy as possible. There was also a lot of flexibility in what was put in the day, which resulted in it being very practical and that was much appreciated as the team could get the most value from the day. Howie the course leader was very engaging and enthusiastic about the course material. Toby (course tutor) is very knowledgeable on the subject and made the course interesting through practical and relevant examples. Had I not been informed by a colleague beforehand I would not have known about local parking arrangements, and the need to pay for parking. Reception was great. A nice relaxing feel to break times as it is a comfortable area to take break time in and Marion was really helpful so felt very well looked after. Local Parking was good and a friendly atmosphere. The trainer was excellent, a really well delivered course. 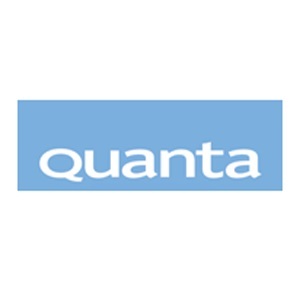 Quanta started in 1991 as a technical training company in Worcester, focusing primarily on UNIX systems, employing just one person, based above a launderette. Nowadays we have long outgrown the launderette and are now based in a grade two listed building with dedicated training centre in the heart of Worcester, just next to the racecourse. We have always kept the family values that Quanta started with throughout this growth. Julian and Jane Ward have been with the company since its inception and continue to lead the company today. We are now focusing on providing a total training solution for our customers, enabling them to achieve success in their projects, departments and organisations as well as providing a rewarding, happy and fulfilling workplace for our employees. We offer a wide range of innovative training and professional service solutions in, Project & Programme Management, IT Service Management, Personal Development and Technical IT.